This ground-breaking resource demonstrates how genetic knowledge can influence our understanding of a child's behaviour and therefore inform their behavioural support plan. 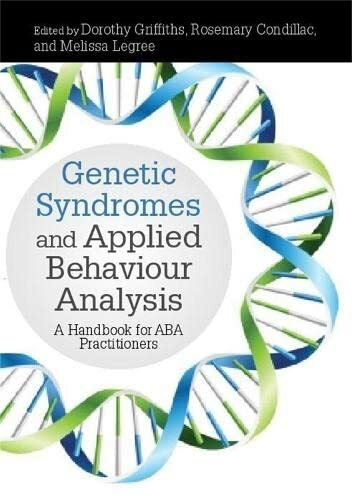 With expert advice and clear instructions, it shows exactly how to go about incorporating syndrome knowledge into ABA practice and start treating children with specific genetic syndromes more effectively. Six different genetic syndromes are covered in detail, ranging from Angelman syndrome to Williams syndrome. The book also includes general sections on genetic intellectual disability syndromes and an explanation of ABA methodology. This will be an invaluable and enlightening book for ABA practitioners and other professionals supporting people with intellectual disabilities caused by a specific genetic syndrome from age 3 to young adult, providing the missing link between ABA and the role that genetics can play in accurate assessment and intervention.